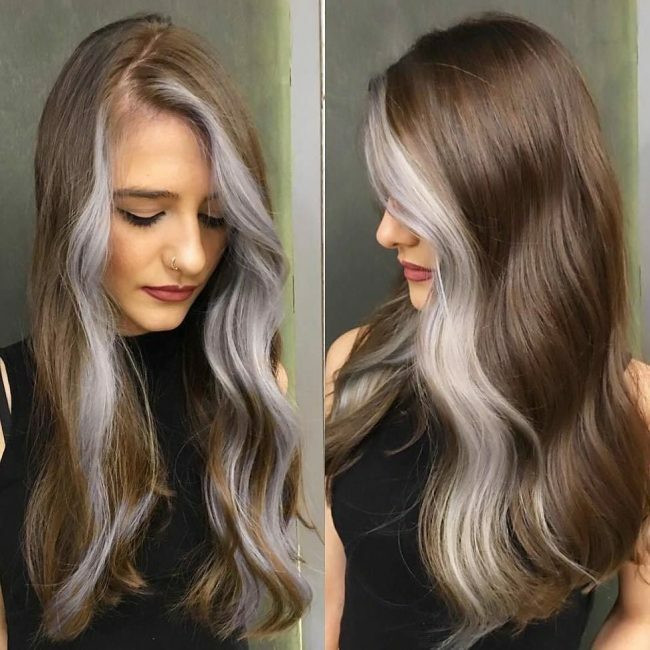 30 Trendy Two Tone Hair Color Ideas — Best Combinations! Any woman that goes for a two tone hair can always be confident of a modern and stylish look. Solid colors are still an acceptable option, but if you want your hairdo to look chic, you have to incorporate some highlights or introduce a pronounced or subtle shade in an ombre or sombre pattern. Having two shades on your hairdo also helps to make any style or haircut very detailed, and it ensures that your strands do not look dull. However, sometimes it is not always easy to decide what shades to use because you cannot be certain what will work for you before you try it. The picture gallery below showcases some breathtaking hairstyles that entail using two colors. Look through to get inspiration on what you can have. 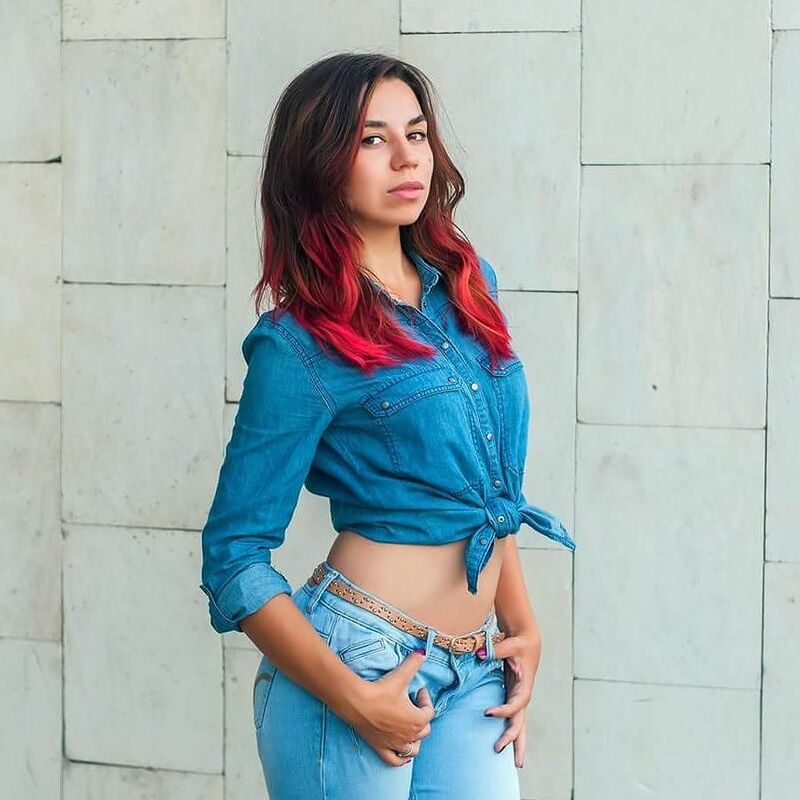 Having two different shades in your hair is an excellent idea, but if you want to look stylish, you have to be very careful with the color choice. The perfect fall colors in this design are ideal for any woman with a textured long hair. They also have a fantastic color pattern that entails transitioning drastically from mahogany to golden to create a lovely ombre design. The long hair has some subtle waves and a nice cut, and so you should finish by sweeping it back in layers for some extra volume. How you use your two shades is more important than their tone because you can give your strands almost any color and still look chic if you place the hues well. In this design, the colors are in a simple but very attractive pattern that entails sectioning the strands into two lengthwise. You should then introduce a light blonde shade on one part and maintain a black shade on the other to create a breathtaking contrast. The strands in this style also have some lovely brushed out curls that also add to the beauty. 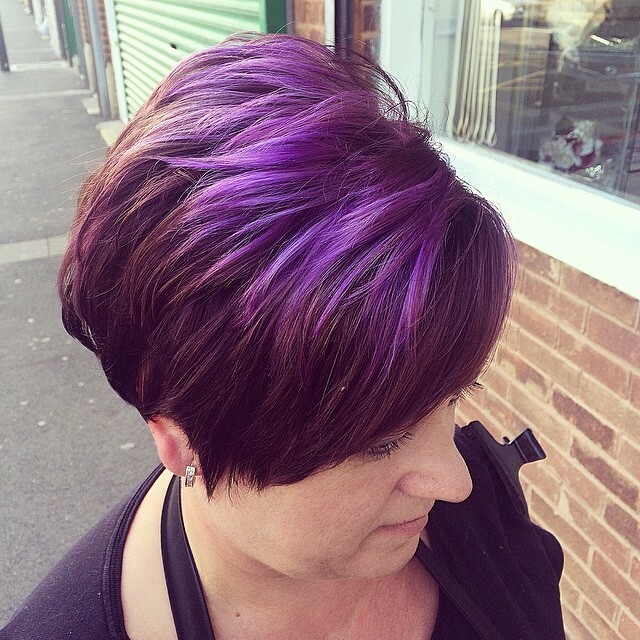 If you are love wearing dazzling hairstyles, this color design will be perfect for you. 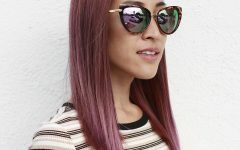 It entails giving your strands a raspberry shade as the base color and then transitioning it to a dark purple hue in an ombre pattern. 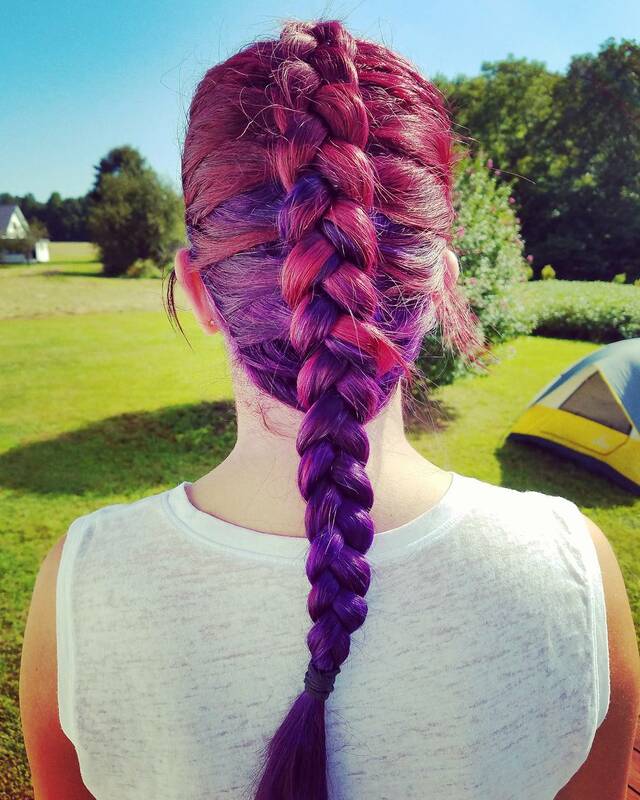 And with such a bright and lovely hair color, a cute Dutch braid that incorporates all the strands and flows all the way to the back is all the styling you need. Red hair is very versatile, and you can have it in endless shades, and this one portrays one way to make it moderate. Most people will not even be able to tell that the dominant tone in these short wavy locks is red because it is not very striking. To give it the two tone appearance you should introduce some partial light brown streaks at the front. The reverse ombre transition in this design, from a dimensional golden blonde to a dark brown hue, shows how a stunning two tone hair design should look. 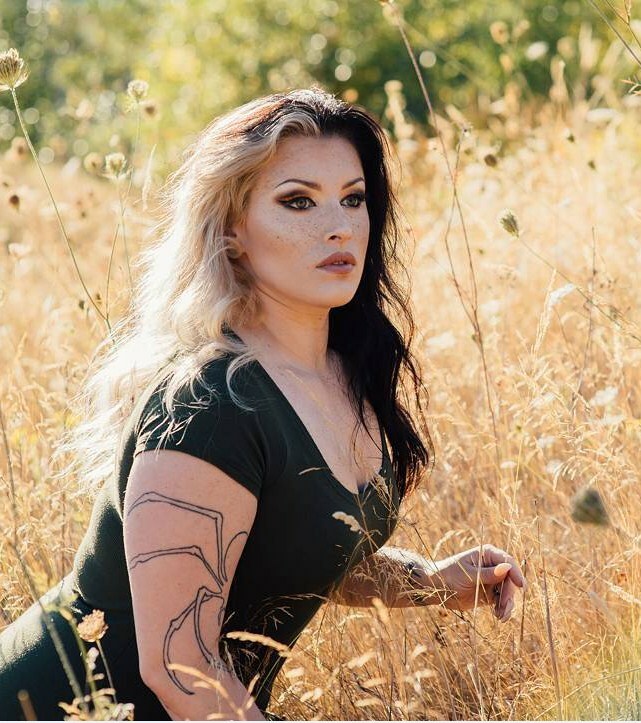 These shoulder-grazing locks are also quite voluminous, and they have some beautiful curls that also help to enhance the lovely color design. To make your strands look this adorable, you should use balayage technique to paint the two shades. The color choice and utilization in this hairdo are just perfect, and this is what makes this a top notch and very trendy hairstyle. To create this look, you should start with black as your base color and then give it a blue undertone to create a dark and very distinctive tone. You also need to paint some white panels on the sides to bring out the two-toned look. This amazing color means that you can style the hair in almost any way that you like but make sure that the small white section is visible as it is essential for the design. A center part and tying the strands at the back to form a half up hairdo is an ideal style. Red-violet is a gorgeous shade, and it will make any woman look very elegant, and this is more so if she has a long healthy hair. In this design, it is the most dominant shade, but its playful and flawless look comes from introducing a dark gray shade on a small section at the front. The hair also has a lovely style that entails forming a small side part and then weaving a medium size Dutch braid that wraps around the back of the head to control the flow of the hair. The color effect of the shades on this long mane is just awe-inspiring, and it will turn head everywhere you go. Ash Platinum is a unique shade, but the design and technique in this one make it look extra charming. 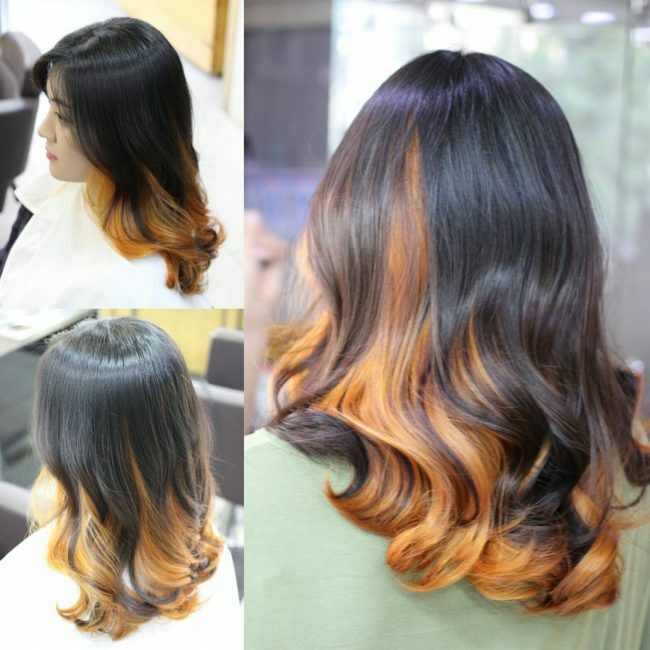 It entails darkening the shade on the roots and making the ends bright to create a lovely ombre pattern. The thick mane also has some beautiful waves on the lower half that are also perfect for this shade. 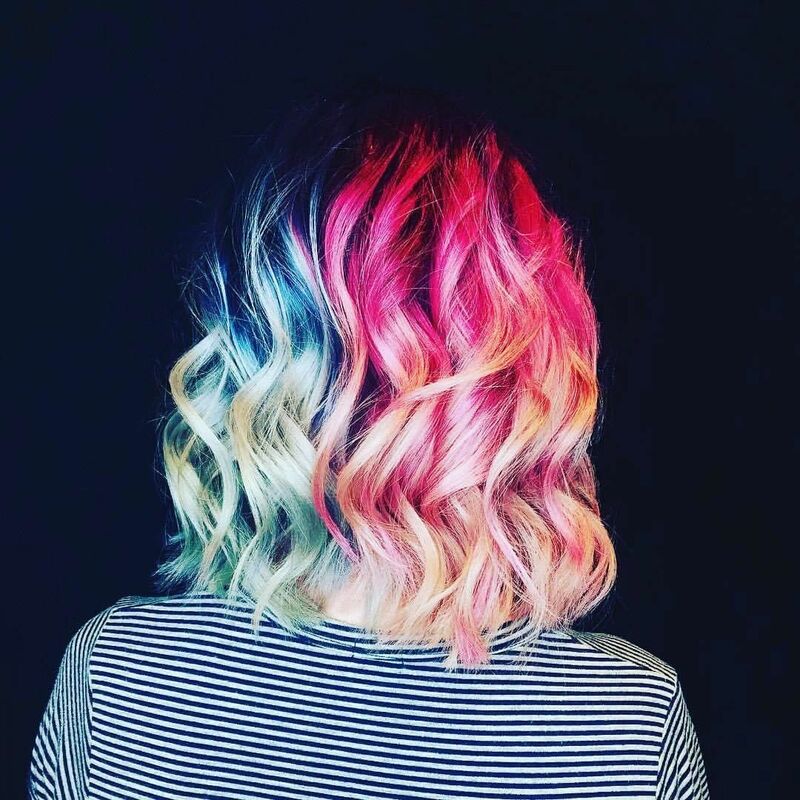 Ombre is one of those color patterns that will always be on trend and so you can be confident that it will make you look stylish. But, the most important thing is always to choose beautiful colors and also use them well. In this style, the hair starts with a lovely dark brown shade and it transitions to a bright red shade to create an amazing color contrast. The shoulder length strands also have a nice texture and cut, and so you only need to brush them into a face frame to finish the headdress. The asymmetry in this short bob haircut is fantastic, but it is just one of the things that make this a top notch hairdo. This lovely hairstyle has a beautiful color pattern that entails dividing the hair into two and having a bright blonde shade on one side and light brown on the other to create a flawless two tone hair. It is hard to tell which shade between purple and gray is the base color in this design, but this is not vital because being able to replicate it is what matters. 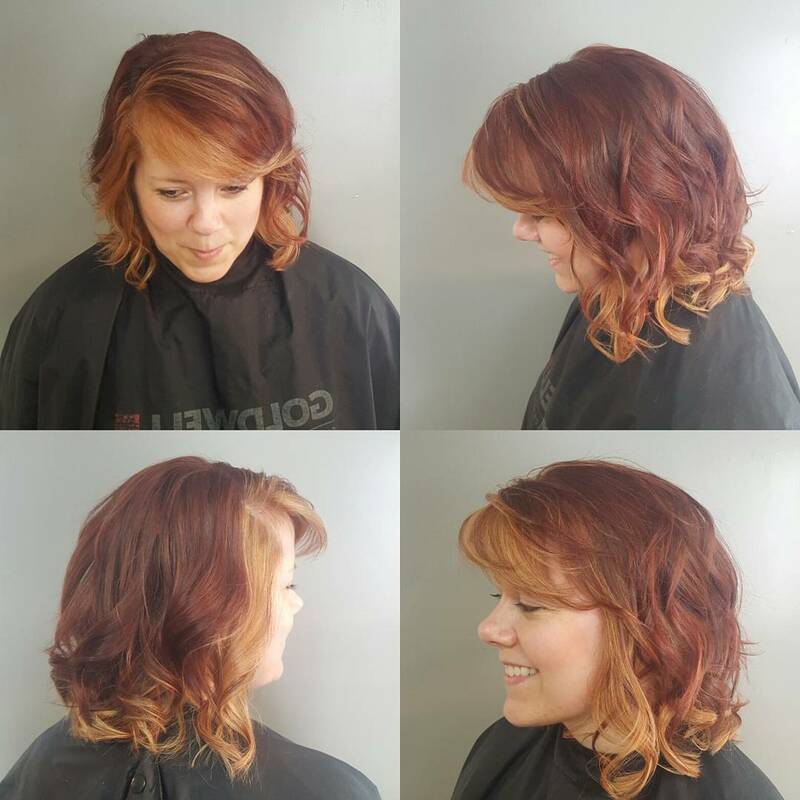 You can use both balayage and foils to create this lovely hairdo, and the idea is to spread both colors throughout the head. Once you have the colors, you will only need to brush back the locks in layers to finish the design. 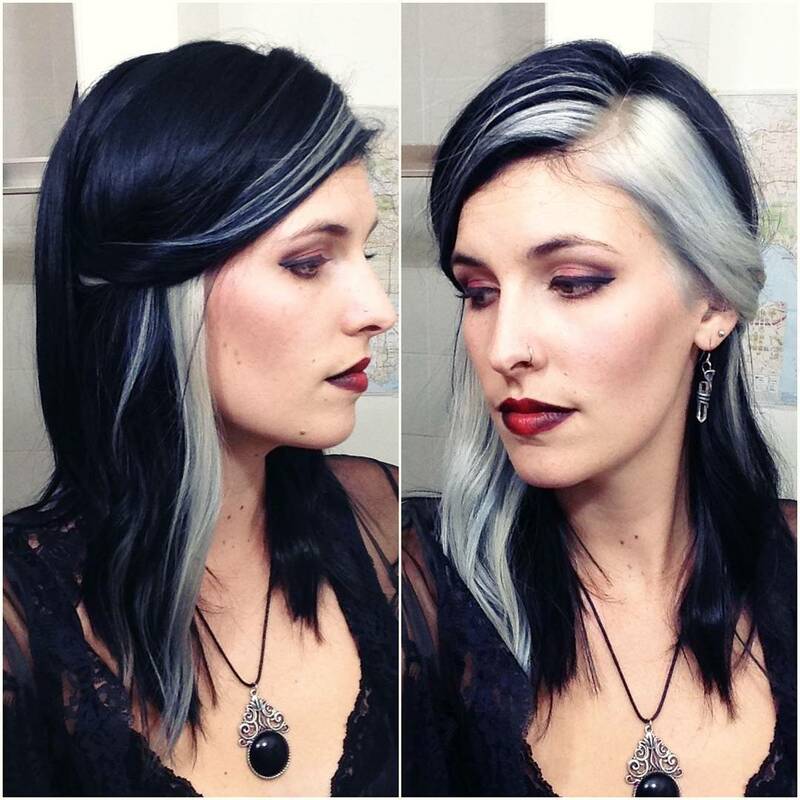 The contrast between the natural black hair color and the hand painted silver gray shade is just breathtaking, and it proves that a beautiful color pattern is all that you need for an elegant headdress. In this fantastic hairstyle, the strands might not have a perfect length, texture or volume but the two-toned color design gives it all the beauty a woman may want. And a simple twist to form an updo and some pins to keep it in place is all the styling you need. If you have long hair like this one with some thick and attractive waves you cannot go wrong with any color and style. However, sometimes it is a good idea to keep things simple like in this hairdo. In this design, the long and voluminous mane has an attractive overall brown shade that makes it look fantastic. However, the introduction of some partial gray streaks at the front section of the face-framing locks takes the overall appearance a class higher. Almost every woman thinks of trying some pastels shades at some point, and this is because of their brightening effect. Pastels also have a feminine touch and the color pattern in this style is a good example of this. In this lovely hairdo, the smooth and straight strands have purple and blue pastel shades that make them look exquisite. 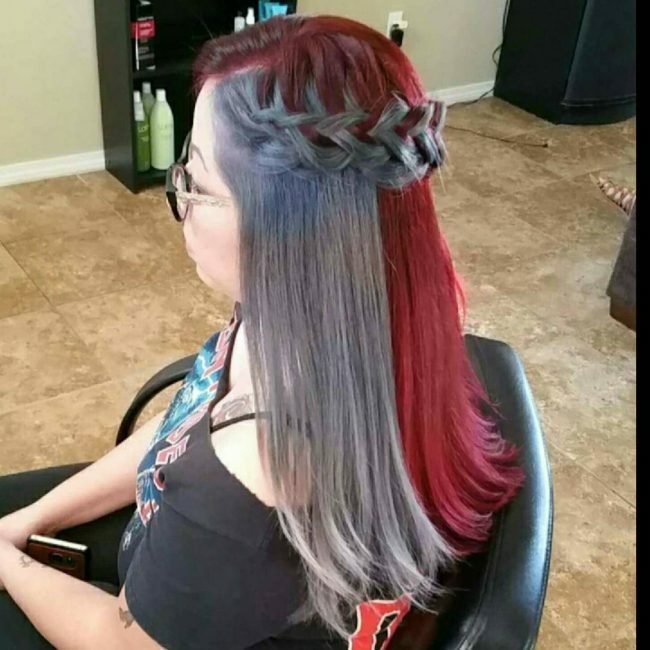 The hand painted color design is also top notch, and it entails sectioning the hair into two with a center part and then giving each section a different shade to create a beautiful two tone hair design. This ravishing headdress also uses purple and blue to give the long bob strands a gorgeous two-toned appearance. However, the design uses light hues of the two colors and so they are very close in appearance. 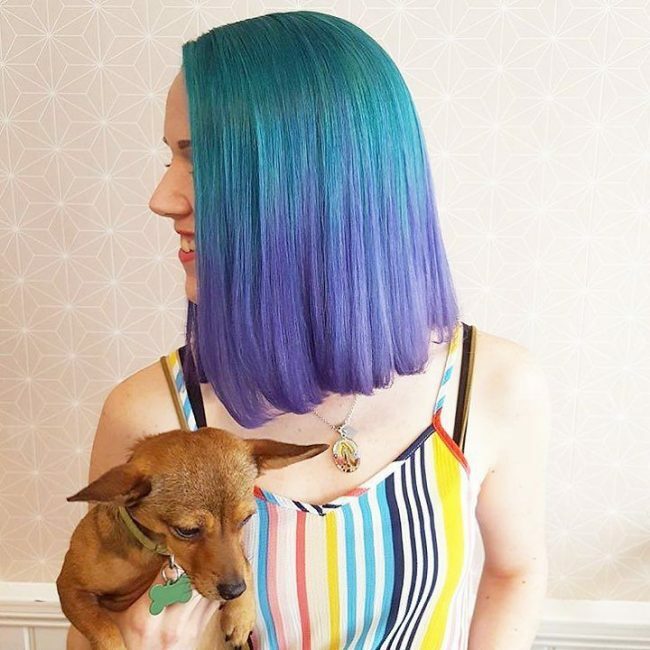 To create this beautiful design you should start with the light blue as your base color and then transition it to light purple on the lower half of the hair to create a beautiful ombre pattern. You also need to give your bob haircut a blunt trim and style it into a face-framing design to spice up the look. A long straight and smooth hair will provide an excellent surface for your colors, and so you cannot afford to go wrong with your color choice and pattern. 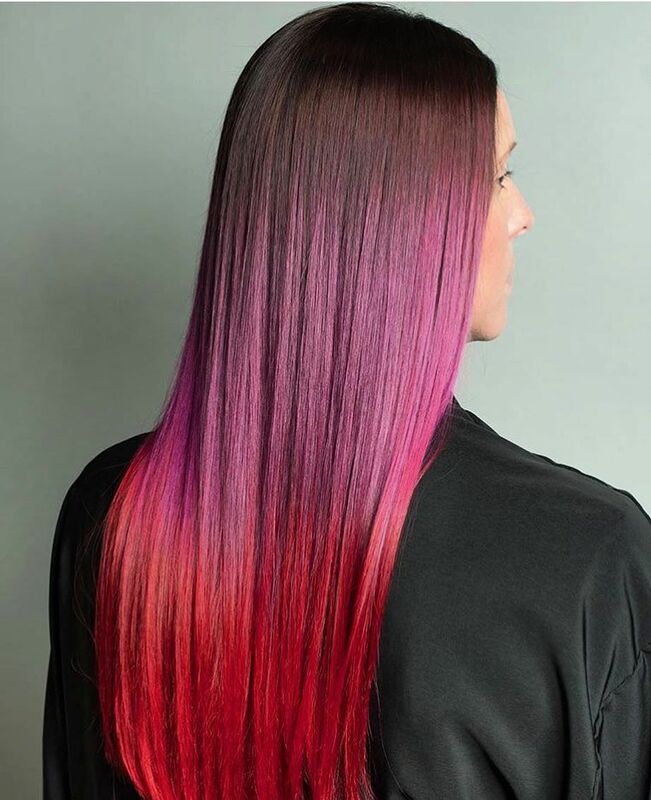 In this design, the straight strands have a fantastic color design that entails transitioning from a red violet base to a bright red hue on the lower section of the head to create a beautiful ombre pattern. With such perfect hair, you do not need any sophisticated style because sweeping it back is enough to show off your gorgeous color pattern. New color designs are always coming up, and this headdress showcases one that has been in trend for the last few years. Instead of going with the conventional ombre or sombre designs, you can create this trendy one by sectioning your strands into two lengthwise. 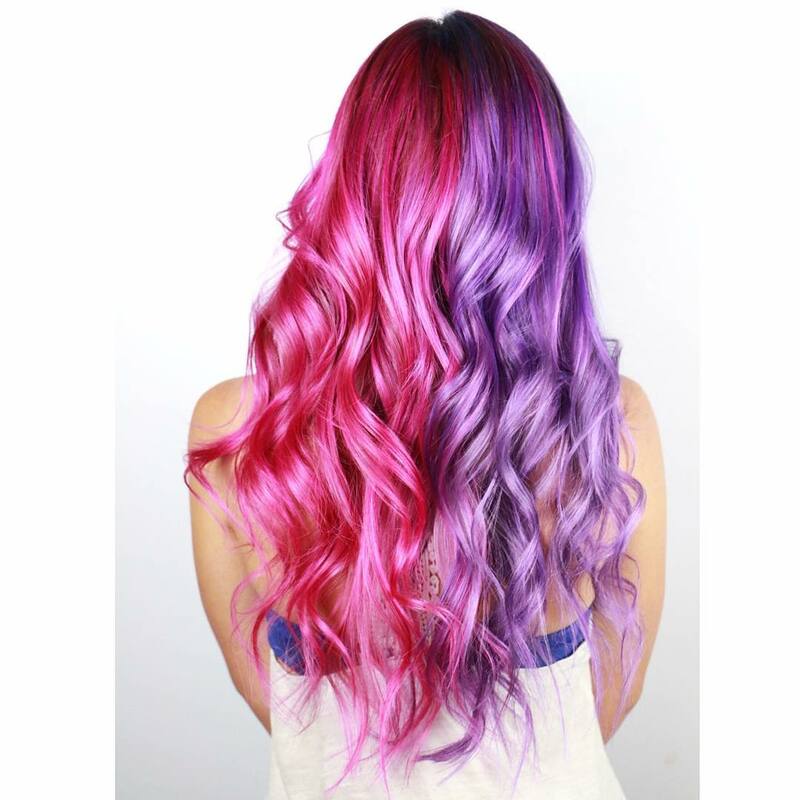 You should then give one side a dazzling pink shade and a bright purple hue on the other. These locks also have some soft curls, and you should style them with a sweep back. 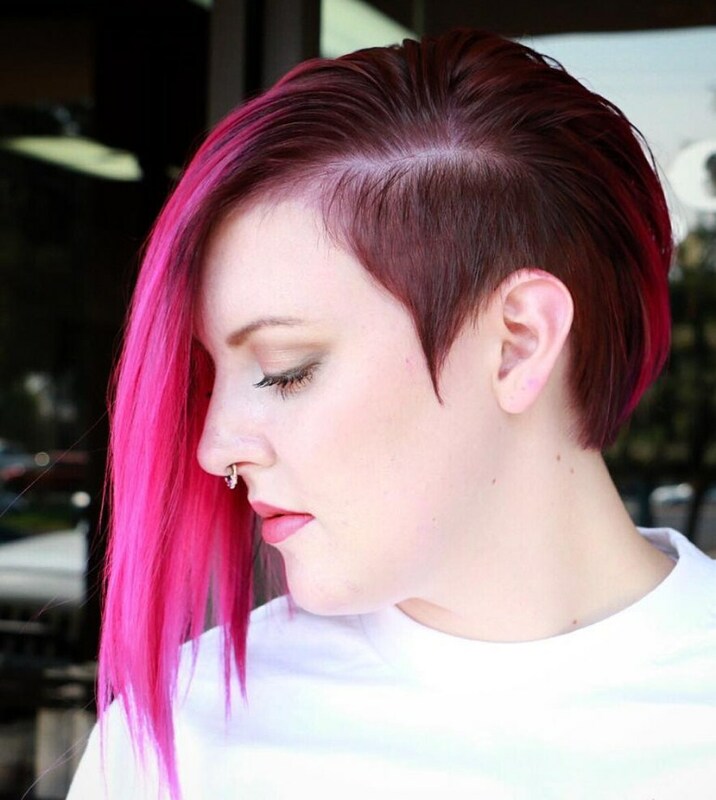 This style is ideal for a bold woman who wants something that will make her stand out from the rest. To create it you should start by chopping short one side of the head to create an undercut and leave some medium length bangs on the other. The next step is to give the hair a beautiful chocolate brown base color. You should then introduce a baby pink shade in the lower half of the bangs and finish with a side sweep. The texture of theses shoulder-grazing wavy locks is one of the things that will draw most people's attention because it is just perfect. However, this fancy headdress would not look this adorable without the beautiful two tone color design. For the color pattern, you will need a pink hue and a light blue one. 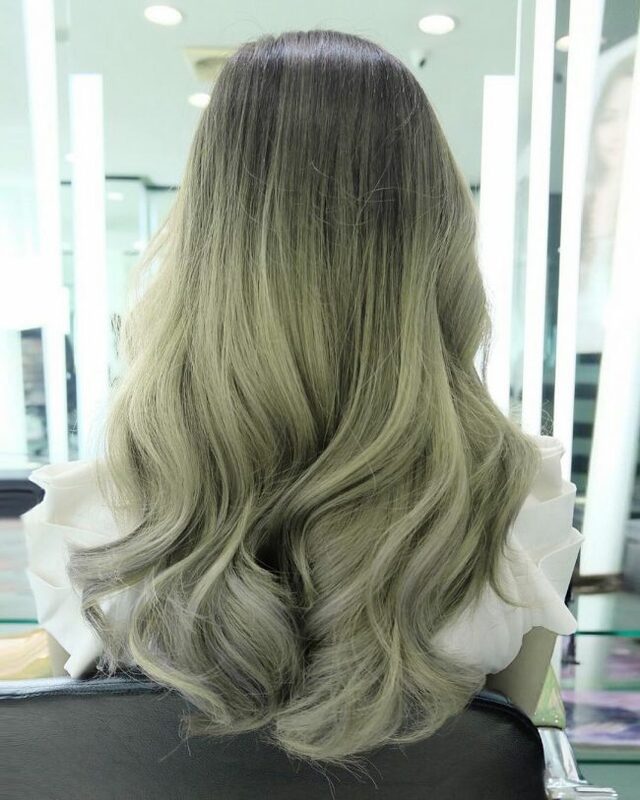 Each of the shades should be on one side of the hair, but you should also fade them towards the ends so that the tones on the roots appear darker than the rest of the hair. Even if you have some short layered strands like these, you can still wear an attractive two-toned design. Most people looking at the style will only see the purple but the design also has a lilac hue as the base color, and this is what creates the two tone hair design. 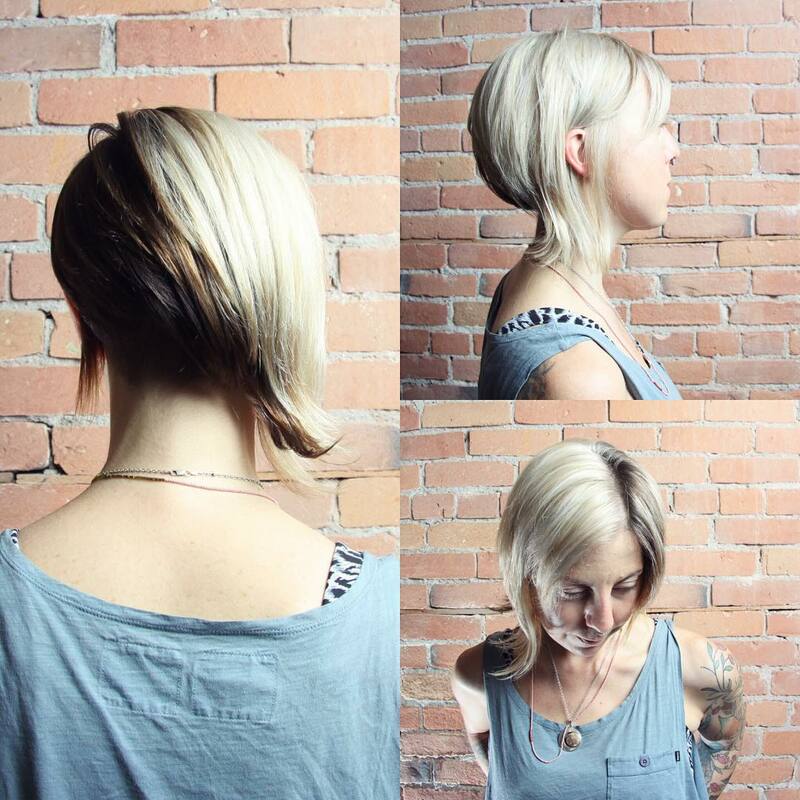 The texture of the short locks and their layered side sweep are also fantastic. The overall shade in this hairdo still makes it a redhead, but the color design in these locks is what makes this an elegant hairstyle. 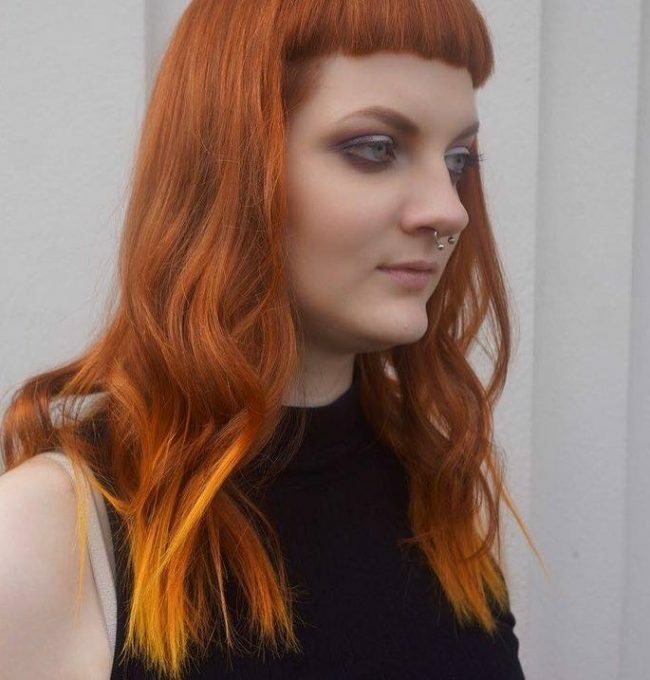 To replicate this beautiful color design you only need to transition the shade to an almost orange shade on the ends to give the hair a two-toned appearance. Your haircut should also involve forming an arched fringe at the front. Blonde is one of the few shades that you can blend with almost any color that you can think of and still be sure of a refined appearance. 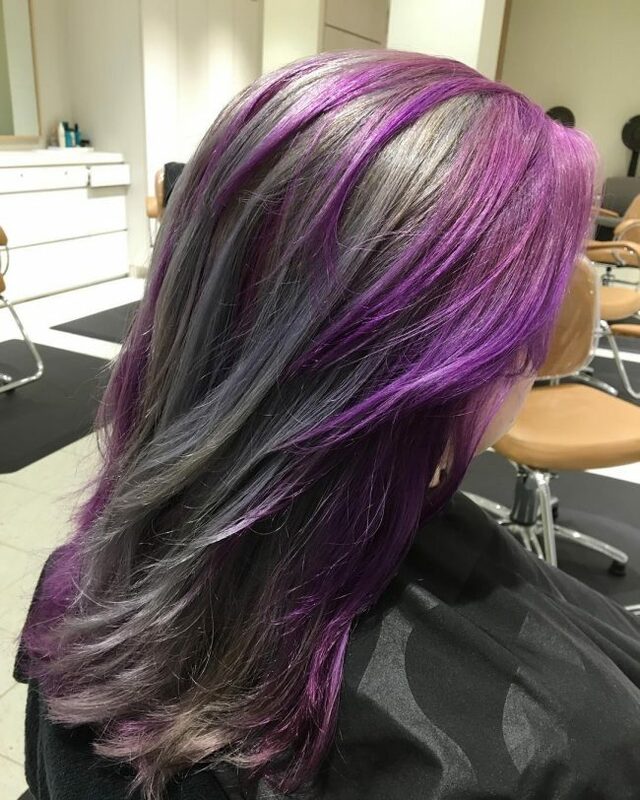 In this design, it accentuates a light shade of lavender to give the long wavy locks and appealing overall tone that you will want to keep for many months. To make sure that the shades look this charming you should free hand paint your strands and also make the lavender the dominant shade. If you have a thick and healthy curly hair and are not sure what to do with it, this is an excellent idea for you. To create this cute hairdo, you should give your curls a light blonde shade at the front and a honey brown shade at the back to create a flawless two tone hair. For styling, you should form a center part and sweep the thick curly mane to the sides. 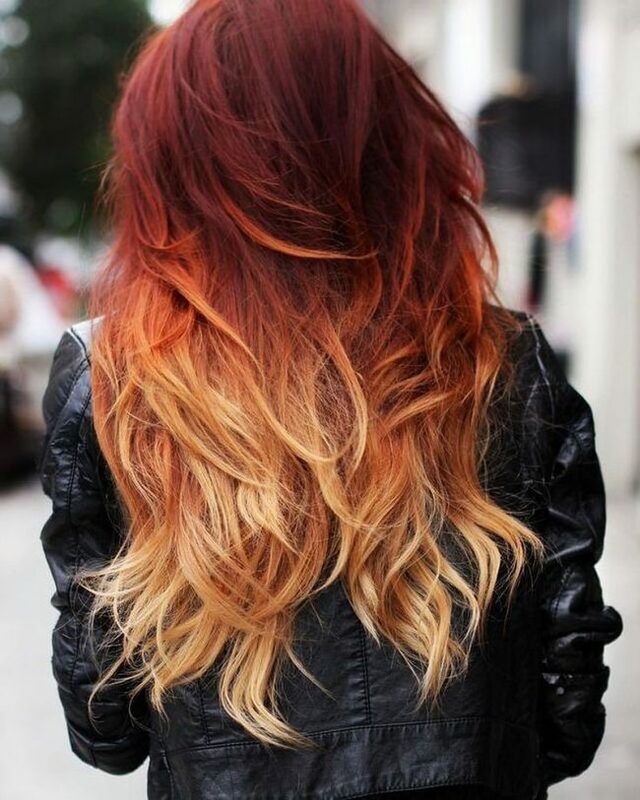 Ombre is by far the most popular hair coloring pattern, and this is because it can make any hairdo look stunning. 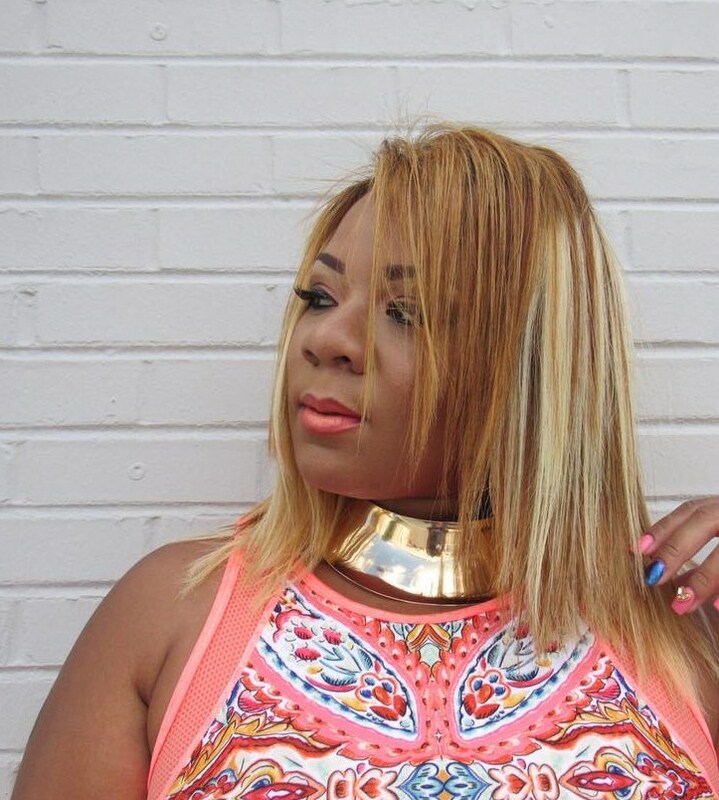 This style uses this color design to transition from the natural black shade to a beautiful orange brown hue to create a flawless two tone hair. The long and thick strands also have some cute waves on the lower half of the hair that look fantastic when you sweep back the mane. Highlights are also an excellent idea when you want to create a lovely two-toned appearance. 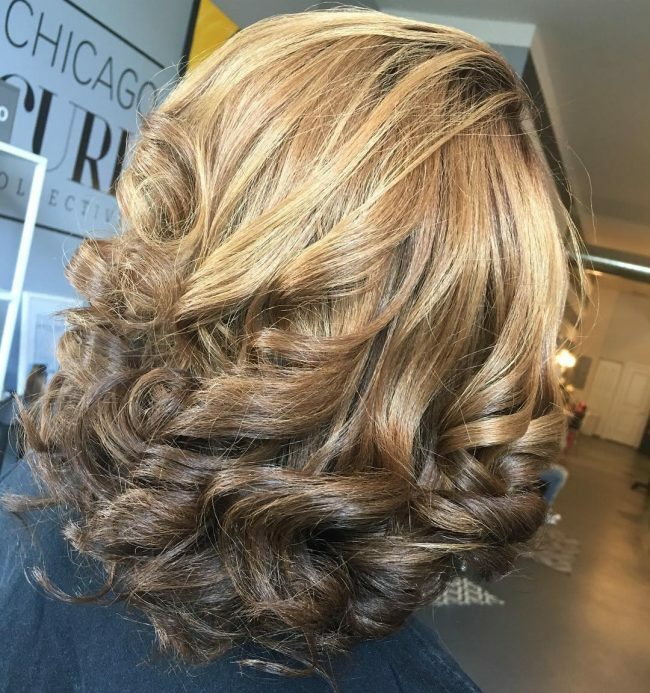 This design has a beautiful honey brown base color, and the introduction of some cute blonde streaks is enough to create a glamorous two-toned appearance. The hair also has a nice spiky cut that makes the straight strands look exciting, and you should style them with a simple side part. Dreadlocks are an excellent hairdo and contrary to what some ladies may think they will not limit your styling options. 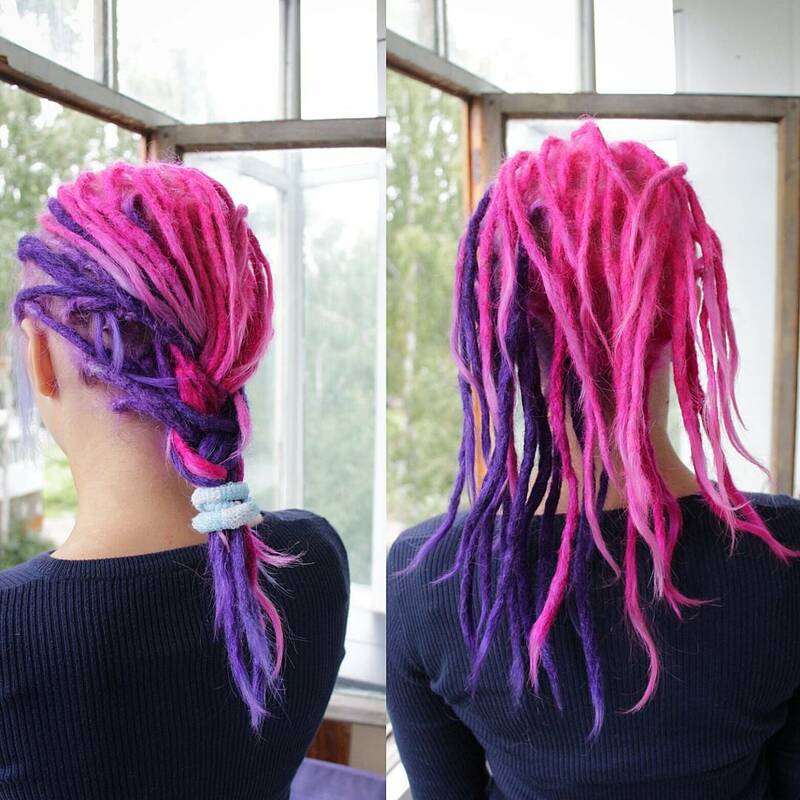 You can also achieve a fantastic two-toned design with dreads and for this, you only need to choose some beautiful and bright shades like the pink and purple in this style. 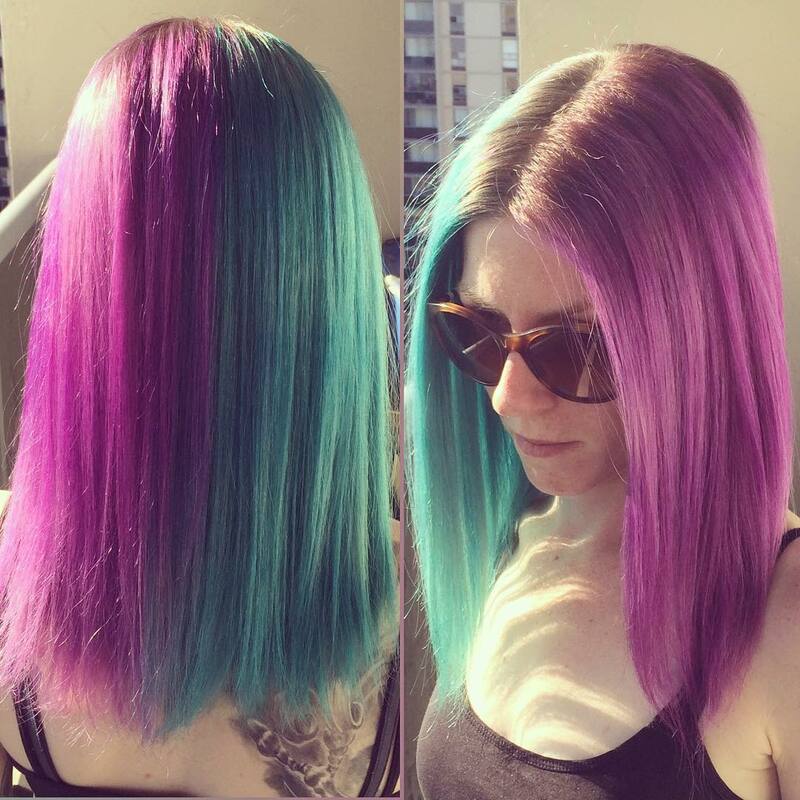 Once you have the shades, the next and only other step is to dye your strands by having one section in purple and the other pink. The cut on this hairstyle is nothing short of perfect because it creates some breathtaking bangs and an arched fringe at the front. However, the color is also top notch, and it entails giving the strands a black and white appearance. 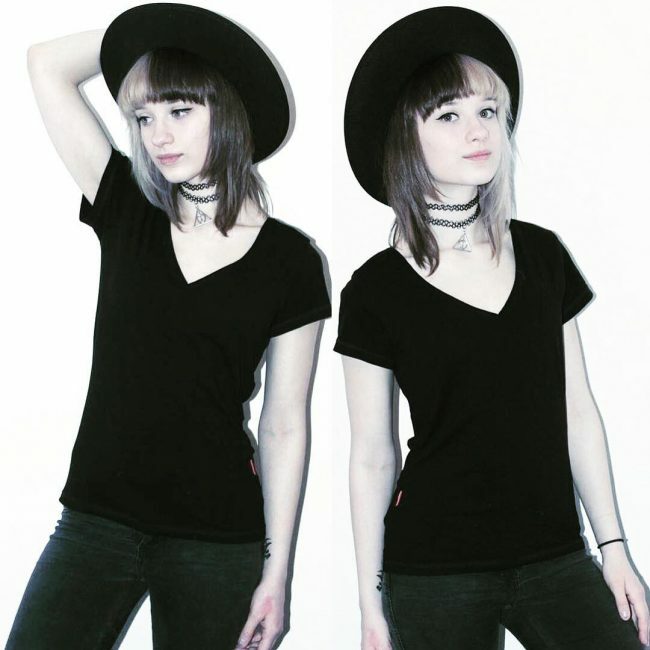 To achieve this, you will only need to bleach one side of your bangs to give it a beautiful white blonde shade. Since the cut is already perfect, you will not need to do any styling on these strands. A color design like this one will make you the center of attraction everywhere you go, and it is an excellent choice for any lady that wants to wear an attention-grabbing headdress. 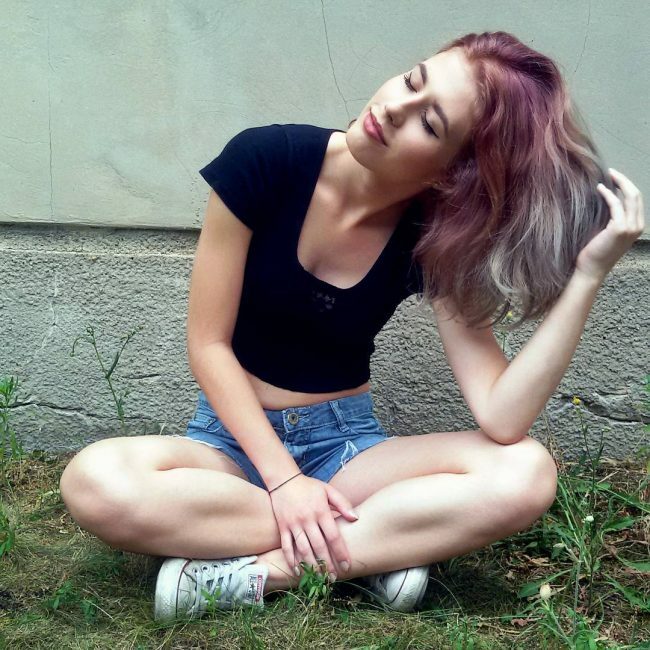 The color choice is also good because golden blonde and violet go well together. 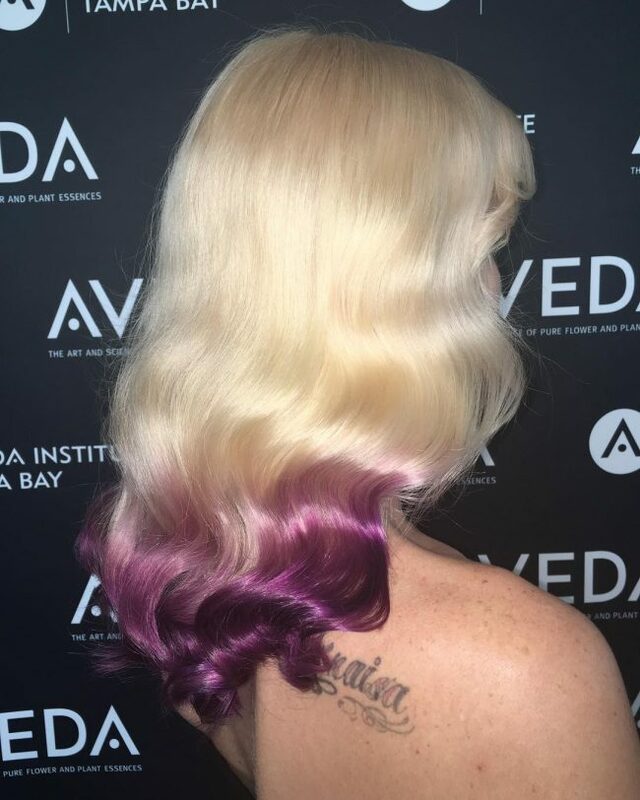 To create this look, you should make the golden blonde the dominant shade in the design but transition it to the dark and glossy violet hue on the lower section of the hair. This hairstyle proves that you can have almost any color on your hair and still look exquisite provided you use it well. 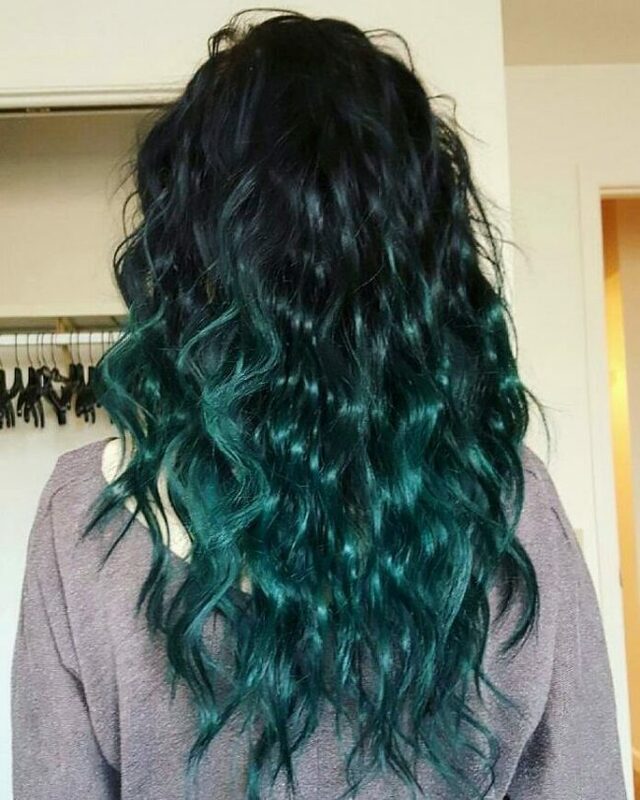 It entails giving your strands a teal shade throughout but making it darker on the roots than on the ends to create a fabulous two-toned appearance. 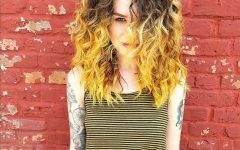 These strands also have some lovely curls that enhance the look of the color, and you should style by sweeping them back. Ladies love bob haircuts because they enable them to keep their hair short and still look very stylish. If you give your long bob haircut some beautiful colors like this one you can be confident of a head-turning appearance. 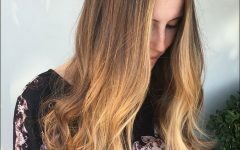 The color design entails transitioning from a blend of purple and brown to a blonde hue to create a beautiful ombre design. 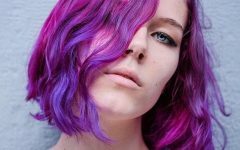 Two tone hair designs are not only beautiful but also classy and trendy and so they are a good choice if you want to keep up with the times. 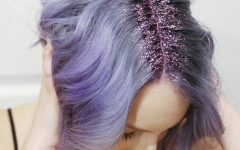 You can combine almost any colors that you like and so they also give you the opportunity to wear your favorite shade on your hair. 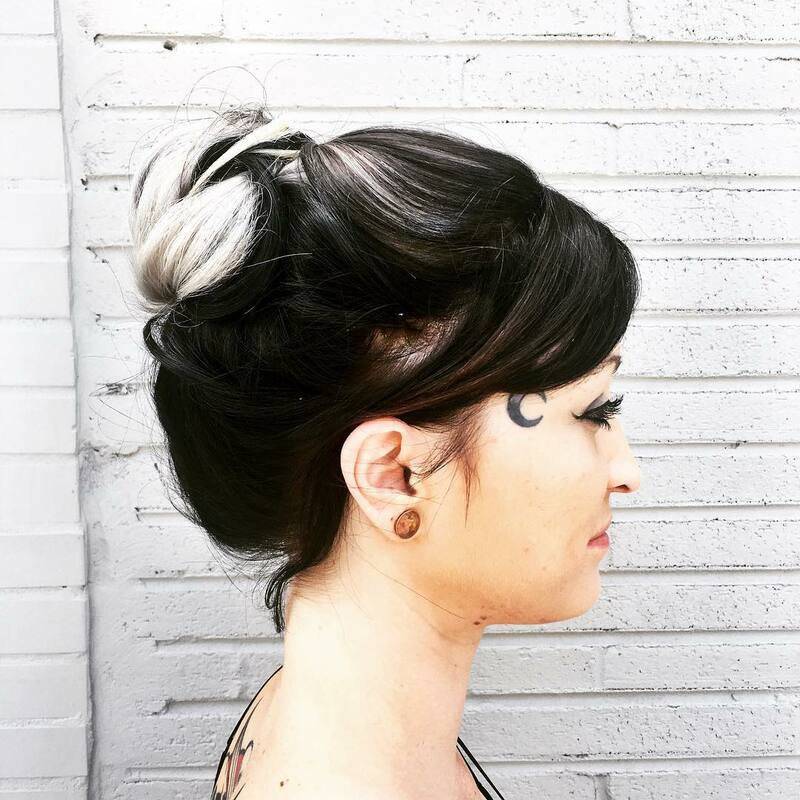 The 30 designs above are examples of how adorable you will look with two-toned locks.